Welcome to Grand Hotel Fasano Gardone Riviera. 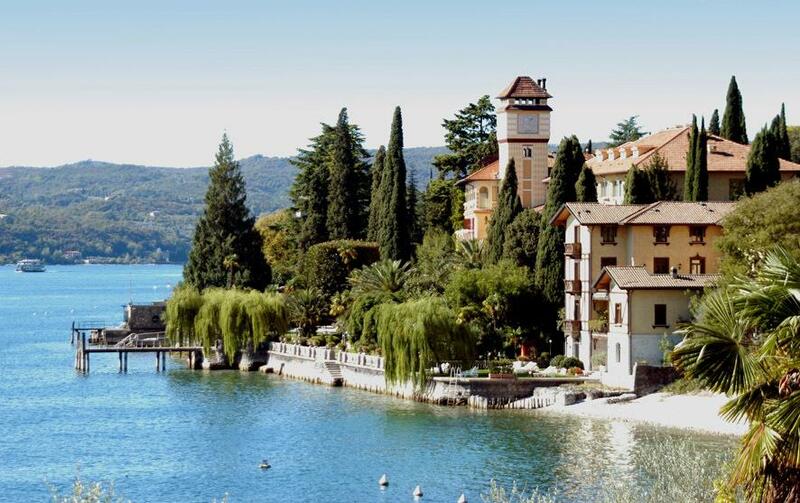 The historic Grand Hotel Fasano is set right on the lake shore. It offers a modern and free wellness centre, a 12000-m² park with swimming pool, and a restaurant with terrace overlooking Lake Garda. The hotel is actually made up of 2 buildings, the main hotel and Villa Principe dating back to the early 19th century. Guests have private access to the lake and can enjoy a buffet breakfast out on the terrace. Rooms at the Grand Hotel are elegant and spacious. All air conditioned, they come with a minibar, laptop safe and LCD TV with satellite channels. A parasol, sun loungers and beach towels are included in the rate. The Fasano's new wellness centre is inspired by ancient Roman baths. It includes an indoor swimming pool, hot tub and Turkish bath, as well as a gym. Located in Gardone Riviera, this 5-star hotel is a 5-minute drive from the dock in Toscolano-Maderno for boat trips across the lake. (Grand Hotel Fasano Gardone Riviera hotels).